When a relationship is good, it can provide us with a seemingly endless sense of joy and well-being, but when it’s bad, it can drive us to our deepest depressions and can even lead some to commit horrible acts. In this episode of The Brain Warrior’s Way Podcast, Dr. Daniel Amen and Tana Amen continue their discussion on happiness, this time with a focus on relationships. 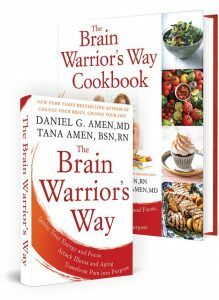 Dr. Daniel Amen:	The Brain Warrior's Way Podcast is brought to you by Amen Clinics, where we transformed lives for three decades using Brain SPECT imaging to better target treatment and natural ways to heal the brain. For more information, visit amenclinics.com. Welcome back. We are in happiness week, and we're going to talk about relationships and happiness next. But first, I want to read this testimonial. This is another one from my website. "I've listened to a lot of your podcasts and have enjoyed them immensely. I got your cookbook from the library." FYI, you can get the cookbook from the library, so when people say that things cost too much, I just want to point that out. "Got your cookbook from the library, and I've tried several recipes which both my son and husband thought they would not like from the description. I chose several I thought they might try. They have not been disappointed yet. I have never felt so successful with anyone's cookbook." "I'll be purchasing your cookbook soon. Thank you for making healthy foods so delicious. I am forever grateful. You are such an inspiration. Thank you." That makes me so happy. I love that. See, we're talking about happiness, and food is a big component of happiness, so this is good. Tana Amen:	Made me so happy last night when you were eating my food and you kept going on and on and on about how much you loved it. It made me so happy that I made dinner again tonight. Tana Amen:	It's cooking right now. Tana Amen:	Yeah, it's terrible. Dr. Daniel Amen:	... go south. Dr. Daniel Amen:	Has that ever happened to you, where you've been in a bad relationship? Not that you were homicidal or suicidal. Tana Amen:	No. I went through a hard divorce. I mean a hard divorce. It was terrible. It's a terrible thing. It's almost crippling at points. It's terrible. It's an awful thing. Dr. Daniel Amen:	And the reason you went through a hard divorce 'cause the relationship was hard. Tana Amen:	Really hard. Yeah. It's all about fit. Dr. Daniel Amen:	Sometimes, they just don't fit. Tana Amen:	Right. It's all about fit. Dr. Daniel Amen:	And I think it's okay to say it doesn't fit and be responsible for saying this doesn't fit for me. Tana Amen:	It's one of the things that you helped me with because I had a lot of guilt. Just my personal religious beliefs and whatever, I had a lot of guilt over it. But you really helped me with that was rather than the guilt was really understanding the fit was never going to fit. It was never going fit. And I would have raised a child in that chaotic environment. Dr. Daniel Amen:	Well, and the research actually shows that it is better for a child to be raised in a divorced family than one that is in a chronic conflict. Dr. Daniel Amen:	Neither are good. Tana Amen:	Neither are good. Tana Amen:	But I do feel like ... As far as happiness and speaking of happiness, she is able to have a home where, as a mother, I'm not chronically stressed. I'm not chronically unhappy, so she gets that as an example. She has a loving relationship that is her example now. Even when she did go to her dad's, at least he wasn't fighting with me. It was not good. Dr. Daniel Amen:	So, what are the things our listeners can do today to improve the quality of their relationships and subsequently, their happiness? Tana Amen:	You want my honest opinion on the first one, the first thing? And I don't know if you're going to agree with me. Take responsibility. It's always going to be the first thing I say. For your health, for your relationships, for everything. Take responsibility. Not blame. Dr. Daniel Amen:	Why wouldn't I agree with you? Dr. Daniel Amen:	Relating is the mnemonic I have for happiness that I teach my patients. And the R is responsibility. Tana Amen:	Oh. Well, see, so there you go. Dr. Daniel Amen:	It's your responsibility. Dr. Daniel Amen:	It's take a hundred percent responsibility. Now, if at the end of the day it's not working, it's not working. Tana Amen:	You still have to take responsibility. Dr. Daniel Amen:	But what is it I can do today to make my relationship with you, with my employees, with my friends, with my family, better? Tana Amen:	Right. Responsibility does not mean blame. This is what I mean. And it doesn't mean that you have to be a martyr. It doesn't mean you have to be ... It just means own your part, be grounded, be responsible for yourself, and be responsible for doing the right thing. That's responsibility. 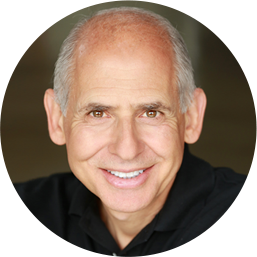 Dr. Daniel Amen:	So, what is it I can do today? Dr. Daniel Amen:	As soon as you blame someone else for the problems in your life, you become a victim, and you can't change things. Tana Amen:	I hate being a victim more than anything on the planet. Dr. Daniel Amen:	... starts with responsibility. Tana Amen:	Yeah. That would be my first thing. Dr. Daniel Amen:	So, I know how to make you smile. Dr. Daniel Amen:	And I know how to make you crazy mad. Tana Amen:	Thank God you don't do that very often. Dr. Daniel Amen:	Now, I choose not to because I want to be happy, right? But knowing you have some control ... When I see these teenagers that are really struggling with their parents, I often go, "What do you do that makes your parents crazy?" And they're like, "Nothing." I'll nudge them, and they'll tell me all the things they do to make their parents crazy. I said, "You know, if that's true, I bet there's things you do that make them happy." Tana Amen:	Let me give you an example. This morning, with the teenager, ... So, this morning, our teenager ... We have, I mean, as far as teenagers go, she's an amazing teenager, but she's a teenager and she has her moments. This morning, for some reason, it's so rare, but she just woke up on the wrong side of the bed, and I don't even know why. Just woke up in a bad mood. She wasn't being mean, she was just not in a good mood, and I couldn't ... I was like, "Hey, what's wrong?" "I don't know." Okay, so that could have been an immediate fight, right? If I had pushed her at a time ... My part of being responsible, I could have pushed her into, "You need to tell me. You can't act like that." It's just going to cause a fight. So, my part of the responsibility was just let her be a teenager and go do your own thing. I was just like my part of being responsible is, "I love you. Have a good morning," and I walked away. I went and did my own thing. Her part of being responsible, and she's been getting this information for a while, she went for a run, okay? She's like me. She uses exercise a lot. She went for a run, she came back. She walks in the ... I was exercising. I was in the gym. She went for a run, and I was in the gym. She walks in, and she has this green mask on her face. So, she walks in with her little ponytail and her green mask. She walks in, and she's like, "Mommy, I'm sorry." And I was like, "That's her part of being responsible, right?" She did the thing that she knew would sort of set her brain right, and she came in, and she apologized. Tana Amen:	Which was not going to be helpful. Dr. Daniel Amen:	It is not a habit of happiness. 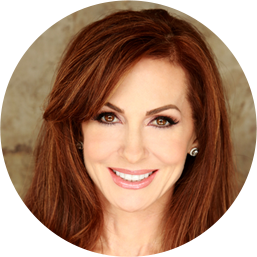 Tana Amen:	It's not only a habit of happiness, it's not helpful. We all have bad days. Unless she's called me a B-word or she did something, she's having a bad day. Leave her alone. Walk away. As long as she didn't do something blatantly disrespectful, it's her issue. It's not my issue. I didn't take it personally. And then she came in. "I'm sorry. I love you." Tana Amen:	Are we getting a little personal here? Tana Amen:	See, you're so perfect for me, so it's so funny that you say that. Dr. Daniel Amen:	... is taking a breath and go, "What's the goal in this relationship?" That's a habit of happiness. 'Cause we've talked about this a lot. I always have the same goal with you. Kind, caring, loving, supportive relationship. Like you said on your MMPI, brutally honest. Dr. Daniel Amen:	... "Well, that's usually not helpful." 'Cause you never want to say everything that goes through your head 'cause there's craziness that happens in everybody's head, right? I filter what I say. Does this get me what I want? Kind, caring, loving, supportive, and passion in a relationship. Tana Amen:	Oh, relationships, absolutely. Tana Amen:	People on the freeway, not so much. Dr. Daniel Amen:	Yeah, but they have guns, so we have to be careful. Tana Amen:	Yeah, I don't say it to them. I don't say it out loud to them. Dr. Daniel Amen:	So, also, this is going to sound counterintuitive. One of the habits of happiness is being assertive. Dr. Daniel Amen:	But, in a firm and kind way. Tana Amen:	Yeah. You feel like a victim. Dr. Daniel Amen:	So, even though you're very assertive, everybody who's listened to the podcast know you are very assertive. Tana Amen:	But there's a difference between assertive and aggressive. There's a difference. Dr. Daniel Amen:	Right. And sometimes, you walk that line. Dr. Daniel Amen:	... then I would be miserable. Tana Amen:	But I also wouldn't respect you. Tana Amen:	And I wouldn't respect you. Dr. Daniel Amen:	... 'cause people don't get this, and relationships are two ways. They have feedback. Letting someone else dominate you because your anxiety causes you never to speak up for yourself is creating a problem. Dr. Daniel Amen:	But that's when things often go wrong in a relationship. It's a habit of unhappiness is giving in and never saying what is all on your mind. Tana Amen:	Right. But it's all in how you say it. Dr. Daniel Amen:	I love that. 'Cause I've said that for 40 years to my patients. It's there are ways to say things, and there are ways to say things. Dr. Daniel Amen:	Figuring out how to be assertive and effective, firm and kind, is a habit of happiness in relationships. Tana Amen:	Yep. It's all about how you say it, and you are so good about that.